Hey, it looks like my posts are just gonna be more infrequent. From here on out, even if there's a lengthy pause in activity here on the blog, please assume that nothing bad has happened. Indeed, you can safely assume that much good has happened, since I'm still riding my bike lots and I'm still blessed with a family who still loves me. Still. I've got a couple of pictures that aren't very interesting, but what the hell. Nice, Those panniers look good and waterproof. 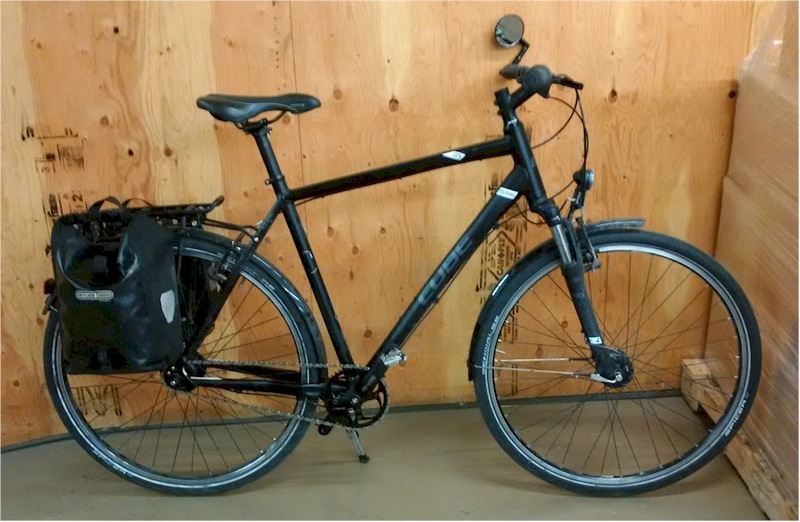 I've been debating for a couple years now whether to try a rack and panniers on my commuter bike. Keep on keeping on Rantwick! The Cube is getting a workout. Nothing wrong with that! RCT - Do it! I LOVE my panniers. I no longer need to commute so my panniers are just used when touring.... but I love em too !! Don't apologize. I'm not dead either! John - I didn't like the sounds that chain cover made in the video... also I have spoken to my chain and it says it prefers the breeze.